Sponsored by the Association for Counselor Education and Supervision. 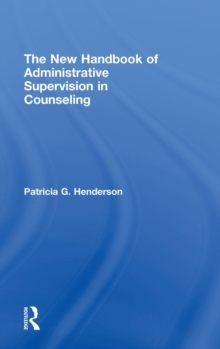 To deliver excellent, culturally responsive services to clients, a successful administrative supervisor must provide leadership to professional counselors, manage counseling services, and work effectively within their agency. 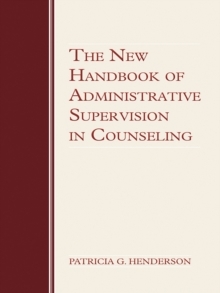 The New Handbook of Administrative Supervision in Counseling is written for first line supervisors who work in mental health agencies, private practices, or in a schools. 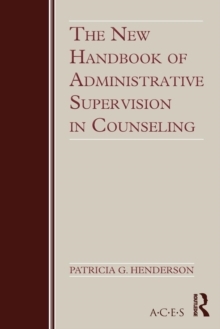 It highlights the skills needed to fulfill eighteen job responsibilities such as implementing your vision, advocating for services and staff members, navigating the politics inherent in work environments, team building, managing budgets and other realities, while still maintaining your own professional integrity and development. Useful forms and self-directed exercises are provided to facilitate personal reflection.